John Lockwood Kipling worked tirelessly to preserve the vanishing crafts of India in the 19th century and was passionately immersed in its culture, unlike his far more famous son, Rudyard. A true polymath of the arts and crafts movement, Kipling (1837–1911) pioneered the appreciation and revival of India’s hereditary arts, crafts and design, in many cases ensuring their creative and technical development. As one of the principals of Victorian India’s new art schools, first in Bombay (now Mumbai), and then in Lahore, he broadened the vision of the Raj beyond transplanting the aesthetics of European fine art into an emphasis on Indian culture and indigenous artistic skills, including the preservation of local crafts. Kipling was truly a Renaissance man – he led a full creative life with many professional outlets for his artistic leanings. 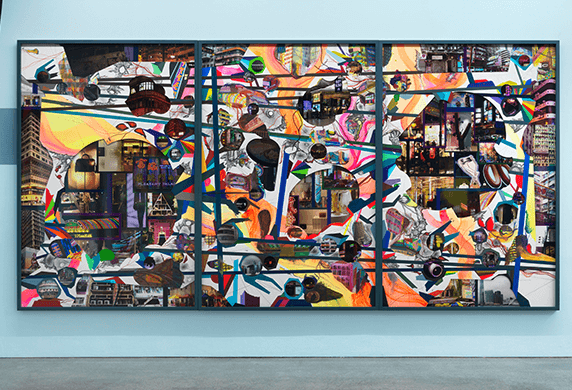 He was an art school teacher, museum director and curator of international exhibitions, author, writer and editor, interior designer and architect. A particularly sumptuous exhibition titled ‘Lockwood Kipling: Arts & Crafts in the Punjab and London’ was recently on display at the Victoria & Albert Museum in London, and will be on view at the Bard Graduate Centre, New York till January 7, 2018. It includes superb paintings of the Indian section of the Great Exhibition of 1881 at Crystal Palace, which was one of the main factors inspiring the young Kipling’s fascination with India. Outstanding examples of Indian craftsmanship are also on display, such as a gold Mughal bracelet inset with diamonds, backed by enamel, and an opulent purple woven silk prayer carpet. Kipling’s own sketches of Indian craftspeople are there too. As an early champion of architectural conservation, he encouraged his art school students to document local buildings, recording details of craftsmanship, examples of which are in the show. These include architectural features such as carved doors, windows and screens, a late 18th-century bay window from a merchant’s house, as well as a particularly valuable Gandharan torso of Lord Buddha (1st-2nd centuries CE). 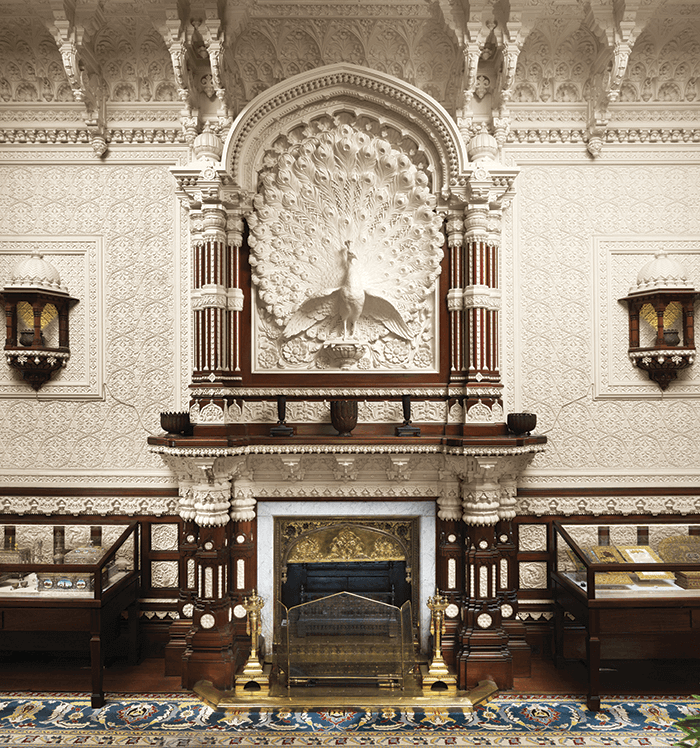 The exhibition concludes with architectural details and furniture that Kipling and a former student, Bhai Ram Singh, who became an architect, had created for royal residences such as the Durbar Hall at Osborne, Queen Victoria’s Isle of Wight home, and the Indian billiard room at Bagshot Park in Surrey, for the Duke of Connaught. 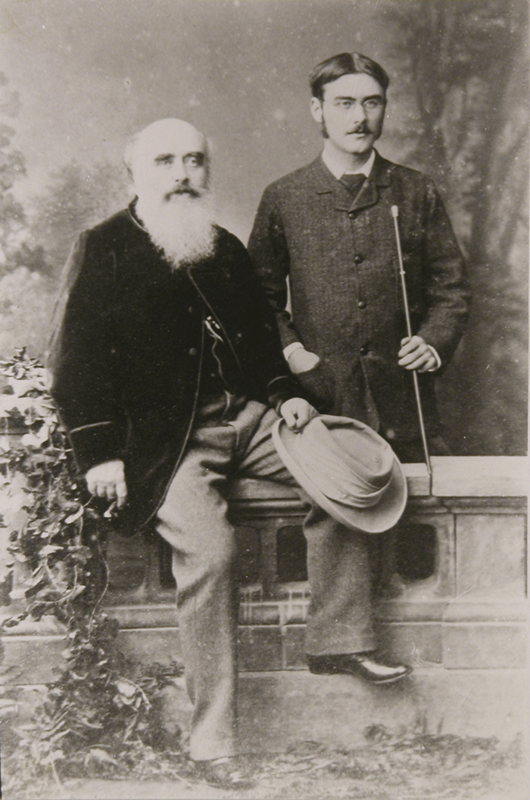 The son of a Wesleyan minister, Lockwood Kipling was born in Yorkshire in 1837. While still a schoolboy, he visited the Great Exhibition at which the East India Company presented the largest and most spectacular displays (over 30,000 sq ft), of ‘exotic treasures’. These included two giant diamonds, one of which was the Koh –‘i’ – Noor, the ‘Mountain of Light’. But we leap ahead. Kipling’s studies began with his enrolling part-time at a local art school. Then, after studying at the Potteries School of Art at Stoke-on-Trent, which naturally specialised in ceramics, he won a prize in a competition to design the façade and decoration of the new Wedgwood Memorial Institute in Burslem, Stoke-on-Trent. Three years later, he became the principal of the art school and his assistant masters were local men like Bhai Ram Singh, and not other expatriates. Kipling’s was a pioneering vision of art education, veering away from the narrow ‘South Kensington’ curriculum and based on the traditional crafts and methods of training to create them, that he soon discovered. To encourage the continuation and development of village crafts, students of the artisan caste did not have to pay fees. Nevertheless, like the British principals of other Indian art schools, he introduced what was considered to be a core skill – the Western technique of drawing, in order to develop indigenous skills of visual analysis, or “to see’ as it was somewhat patronisingly described, rather than relying on traditional patterns and designs. However, Kipling’s methodology was broad-based. On the one hand, he encouraged his students in Bombay to copy the murals in the rock-cut temples of Ajanta and Ellora, and draw objects in the museum and from nature. On another tack, his policy was to encourage boys from artisan castes to retain and develop their families’ particular crafts, and then to return to their villages. Yet his overall aim was not simply to revive dying crafts and designs, but also to develop them for new markets in order to make them sustainable. Kipling’s enthusiasm for Indian artisanship was noted by the Raj, and he was commissioned to travel to create a series of detailed documentary drawings of village craftspeople and their tools for exhibition and publication. In 1873, he applied for the post of principal at a new school of art in Lahore, the latest in the government’s network of schools. By 1875, he had moved to Lahore, accepting a dual appointment as the first principal of the Mayo School of Industrial Art, later – in 1958 – to be renamed as the Lahore National College of Art, and acknowledged today as Pakistan’s premier art school. He was also to be the curator of the Central Museum in Lahore, now known as the Lahore City Heritage Museum. Kipling had a vision of a partnership between the museum and school as a key to the future of Indian arts and cultural heritage. His belief was that students, craftspeople and potential purchasers of their work, should all have access to actual examples of India’s heritage and exposure to contemporary art, arranging changing exhibitions. At Lahore’s Mayo School of Industrial Art, the syllabus Kipling designed included drawing. Another insistence shared by other art school principals was geometry and the study of the English language. His own more enlightened five-year syllabus not only covered painting and modelling, but also more practical subjects such as carpentry, carving and joining, blacksmithing, architectural drawing and building construction. It’s clear that he designed the courses with hereditary artisans in mind, but he also wanted to expand their range and engage them with changing times. 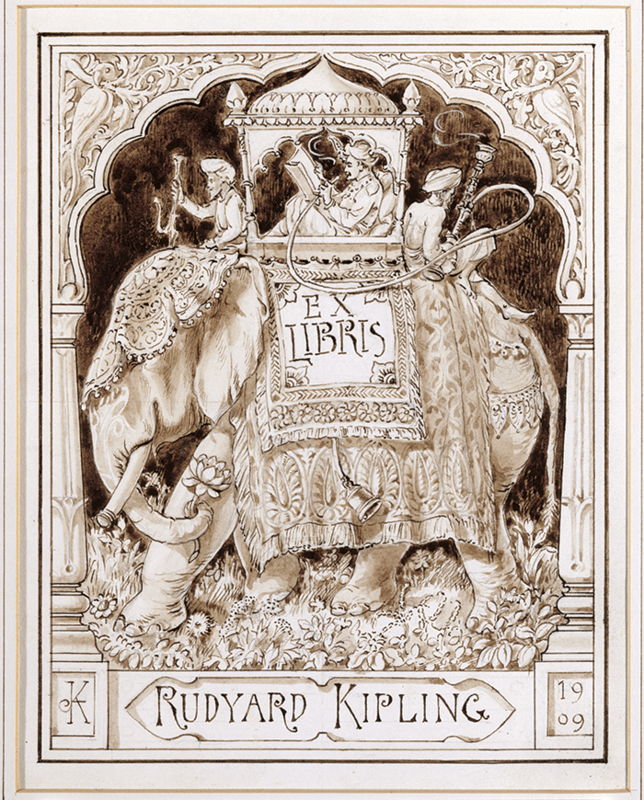 After 18 years in Lahore, Kipling retired in 1893, suffering from ill health. By the time he left India, accolades had accumulated for his success as curator of the Lahore City Heritage Museum. Not only had visitor numbers risen substantially, but the collections had grown and diversified, including holdings from the Indus Valley, Jain, Hindu and Buddhist treasures, as well as art and craft, photographs and models of artisans showing stages of design, manufacture and materials. Throughout India, John Lockwood Kipling did more to preserve and protect the country’s traditional arts and crafts than any of the vast number of colonial administrators who ruled the subcontinent.